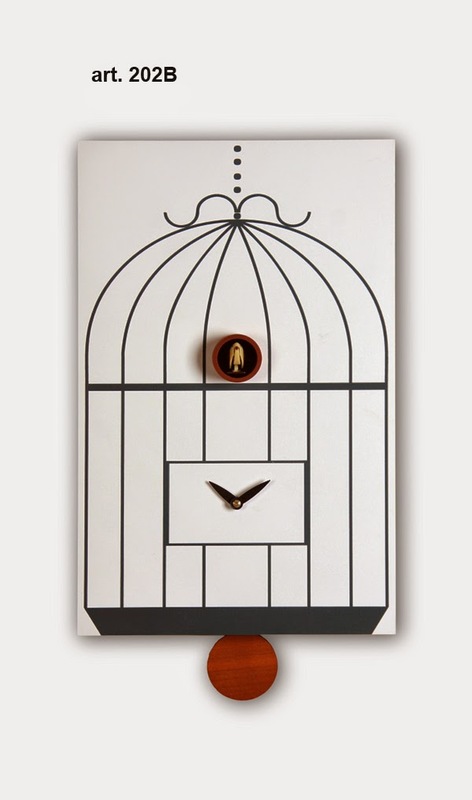 A more respectful way to keep a bird in the house, the birdcage cuckoo clock is inspired by Tweety and Sylvester....but fortunately here there is no real bird in a cage (yes for us kids Tweety was a real one!!) 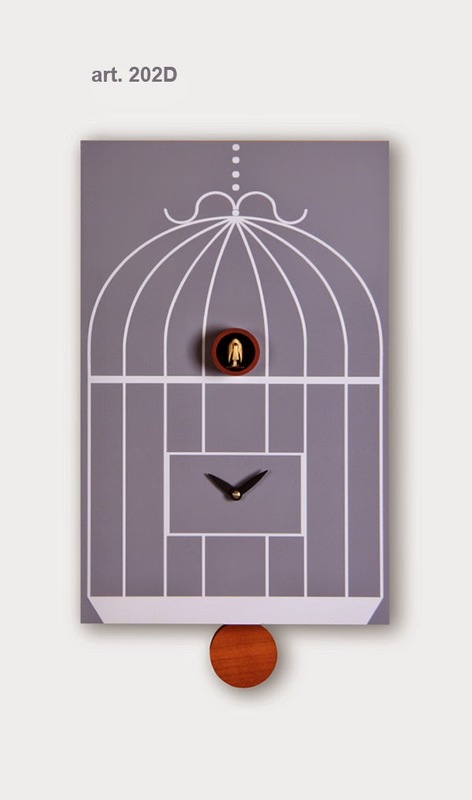 So enjoy this cute modern cuckoo clock and the cuckoo singing in its birdcage. 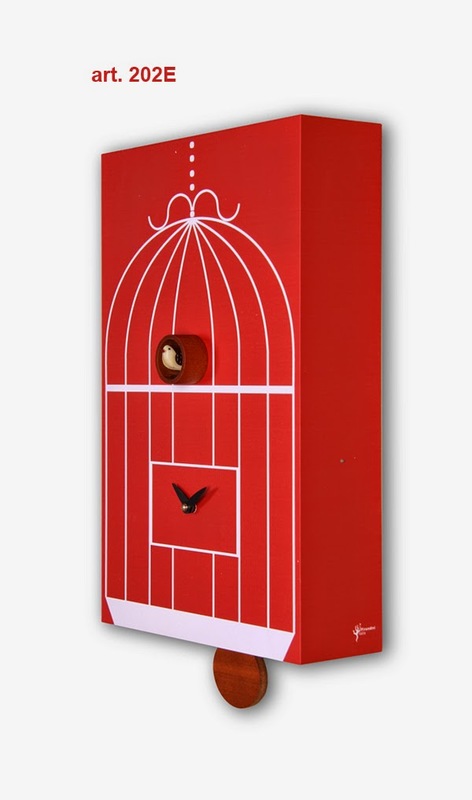 Made of painted wood and available in several happy colors this modern cuckoo represents a fantastic gift idea. 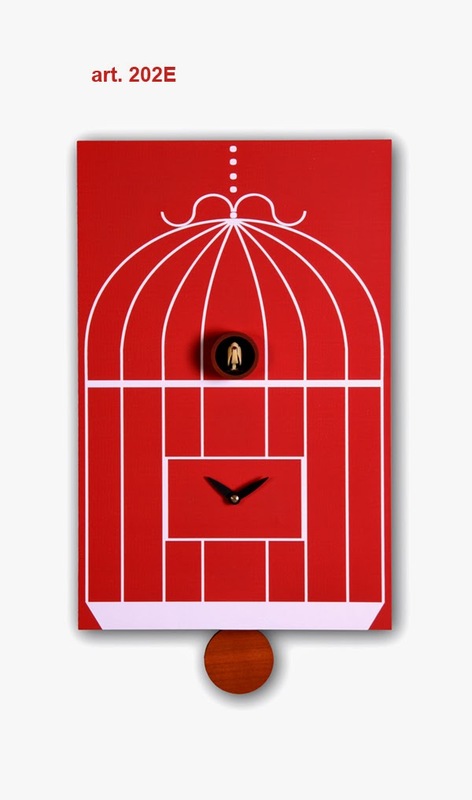 Are you looking for Holidays gifts? check. 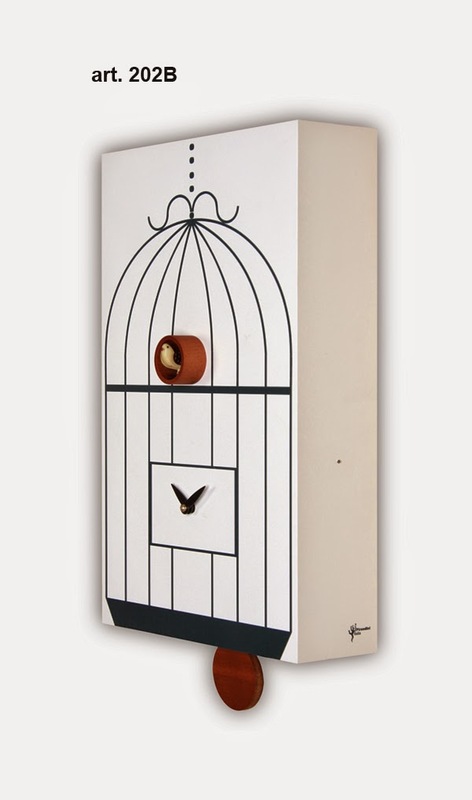 Need a gift for a weedding? check. Is your friend's birthday coming soon? check. Choose your preferred color add a bow and all you need to do is to write that wish card! And why not to get a second one for yourself? 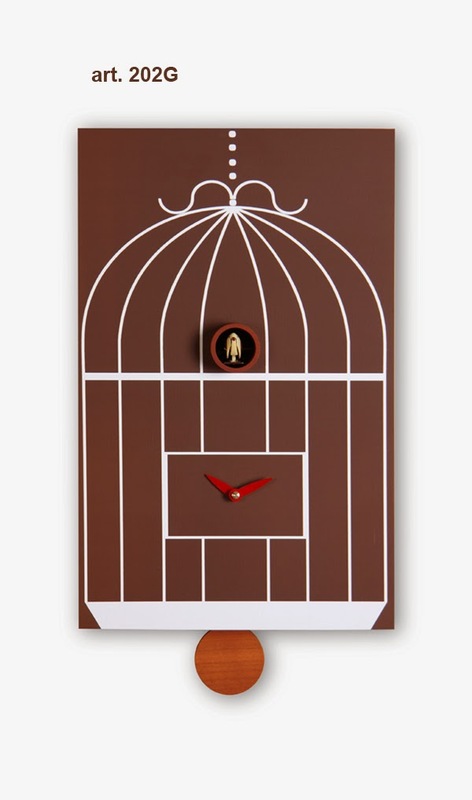 The birdcage cuckoo clock is made in Italy! 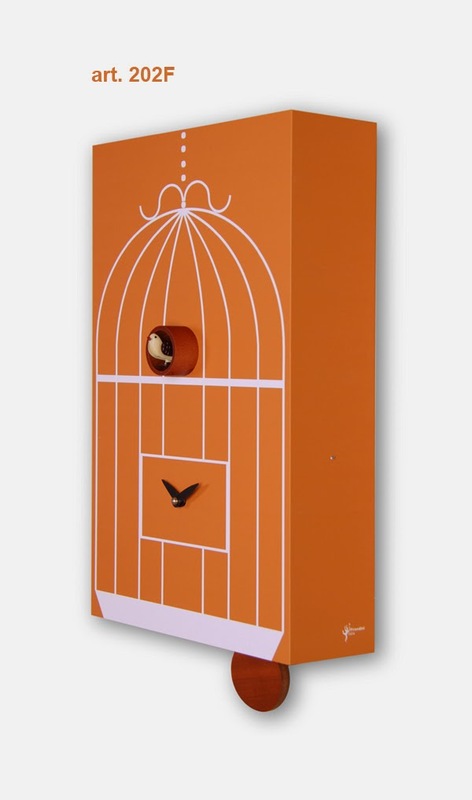 Italian design and style; volume controls can be set on high or low and thanks to a light sensor the cuckoo stays quiet at night! 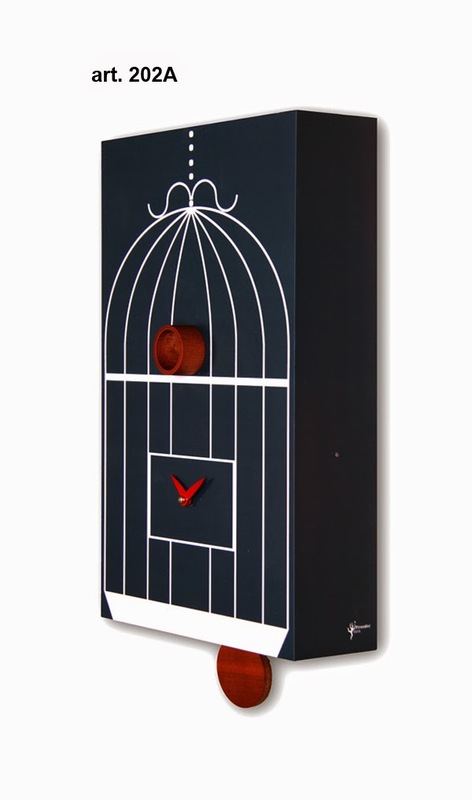 Momentoitalia imports modern Italian furniture and modern home accessories from Italy. 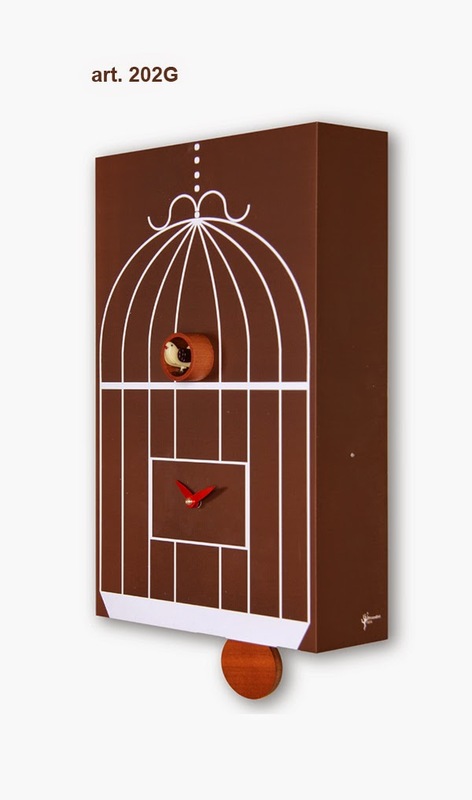 100% Made in Italy furniture and home decor accessories and modern gifts. Our furniture selection includes living room furniture and bedroom furniture, contract furniture for hotel projects and office furniture. We are also specialized in modern sofa beds. Our sofa beds are amazing, easy to open and of the highest Italian quality. Our sofa beds selection includes armchair beds and sectional sofa beds. We also import modern space saving and transformable furniture. 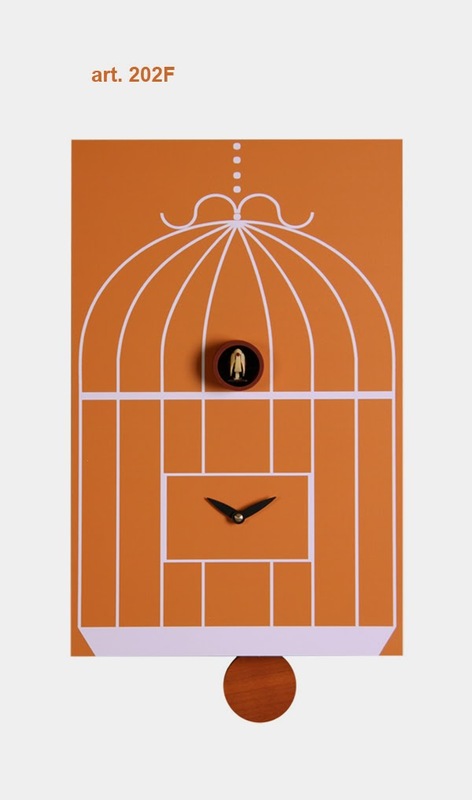 Among accessories, we are specialized in modern cuckoo clocks and wall clocks, Italian made and imported directly from Italy. 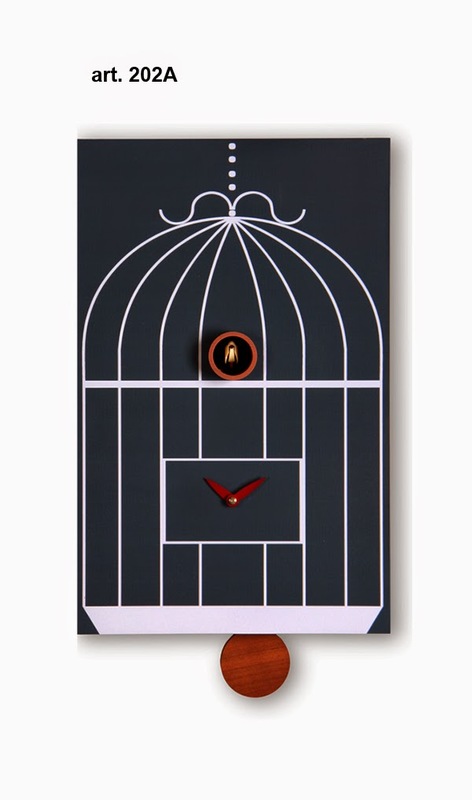 You can check our modern gifts website and buy directly online.